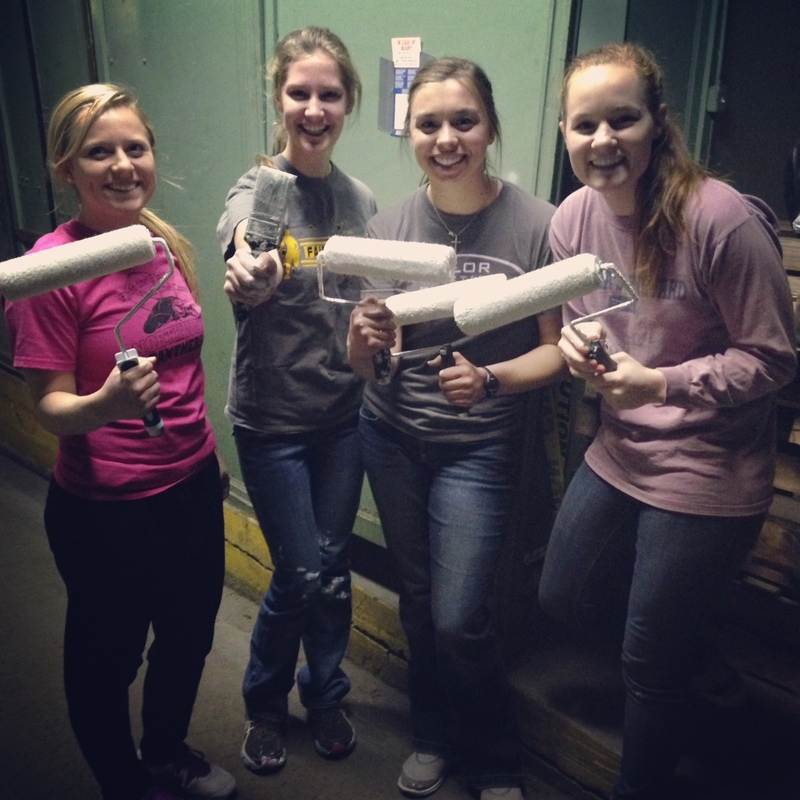 Maddie, Mallory, Taylor, and Jessie getting ready to paint some walls. Today we cleaned, moved furniture, put up dry wall, and painted. We are having a blast getting to know each other, and the gems within the Indy area. Today we got to hang out with Shepherd’s fellows (year-long interns), and it was awesome to see more of Shepherd’s impact on people outside of the community as well as inside of it!! !